Plot: Seeking refuge from a violent storm, Aeneas lands on the shores of Carthage where Queen Dido, moved by his retelling of the fall of Troy and bewitched by a malevolent Cupid, soon burns with love. Their ensuing passion, manipulated by the watching, warring gods, can only end in tragedy. I wouldnt even bother with a review so here’s the beef: it’s worth missing this Marlowe for the Merlot. I just quoted the Whingers motto because I couldnt have said it any better. Fellow theatre blogger Tim who was also there at the preview, has got more to say here. The evening’s highlight was really my meet up with fellow SRB admirer Abigail who is just as charming and fine in person as she is online. Wish we had stayed longer at the bar, although your own outing went well. Till the next time! How do you start all over again? Will the words come out easy just like it used to be? No, it’s not some soppy line from a cheap rom-com but it’s my thoughts (still cheap!) about where to start again with this blog. Then I figured that since most of its content are about my theatre escapades, then it will be easy to talk about what is up at the National Theatre for their November-February season. Pretty good save there huh? Having said that, I didnt realise that a year has almost gone by since I started taking up theatre as an alternative to film and what a good year for theatre has it been, but that’s altogether another blog entry. It looks like the National is appealing to my heart all the time with their productions. For one thing this year, they brought me and Simon Russell Beale together via Much Ado About Nothing, Major Barbara, A Slight Ache and Landscape. Knowing that my heart will be missing SRB who will be in Broadway for The Bridge Project and will not return to Mother England until May, how will we keep Simone close to home? What about Captain Wentworth, she used to like him didnt she? So yes, let’s bring in Ciaran Hinds and make Simone happy! And so you did guys! Ciaran Hinds is in Burnt By The Sun and I am so thrilled! I have seen him in films like The Phantom of the Opera, Calendar Girls, The Sum of All Fears and tv, like HBO’s Rome where he played a brilliant Julius Caesar, The Mayor of Casterbridge among others but my all-time favorite being Jane Austen’s Persuasion where he played Captain Frederick Wentworth which incidentally also had SRB playing Charles Musgrove. Big coincidence huh? I have booked to see Burnt by the Sun in one of its preview dates in February. Christopher Marlowe’s Dido, Queen of Carthage is also another production that I am quite keen to see, having missed the one staged earlier this year, I also booked to see this 2 days after the Ides of March. I have not booked it yet but I am also planning to see England People Very Nice. 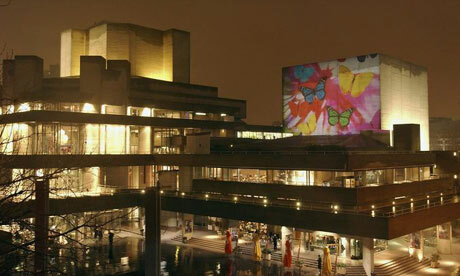 For the full season’s productions, please visit the National Theatre website.